Teo Collori & Momento Cigano play an extraordinary medley of gypsy and swing music. It is a project where nostalgia blends with new stories, as the boys perform fresh, original songs, in a style that takes us back to the era of ballrooms, cigars, Charleston and lacquered shoes. 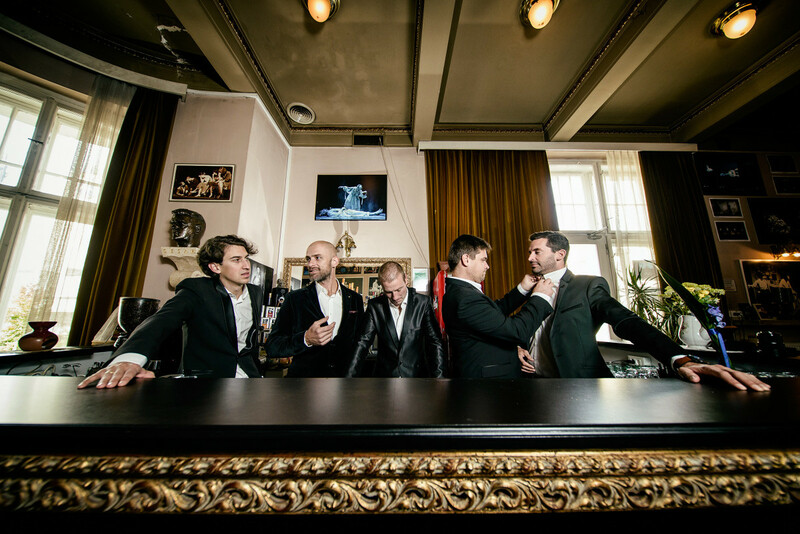 Their first record, Hot Club Piran, was chosen as “Album of 2015” at the online music portal of the Slovenian coastal area, Muzikobala. In 2016 their quality was recognized in the USA as well, where the album was published on the renowned Lowtemp label. Their second, Kamerato Muzikante was released recently, in October 2018. The new songs still have roots in gipsy jazz but they also flirt with classical muisc, ethno and even film score.